Blending Vintage Design Elements With Today'S Casual Living, The Brooksdale Collection'S Functional Beauty Allows For Use In A Variity Of Decors. 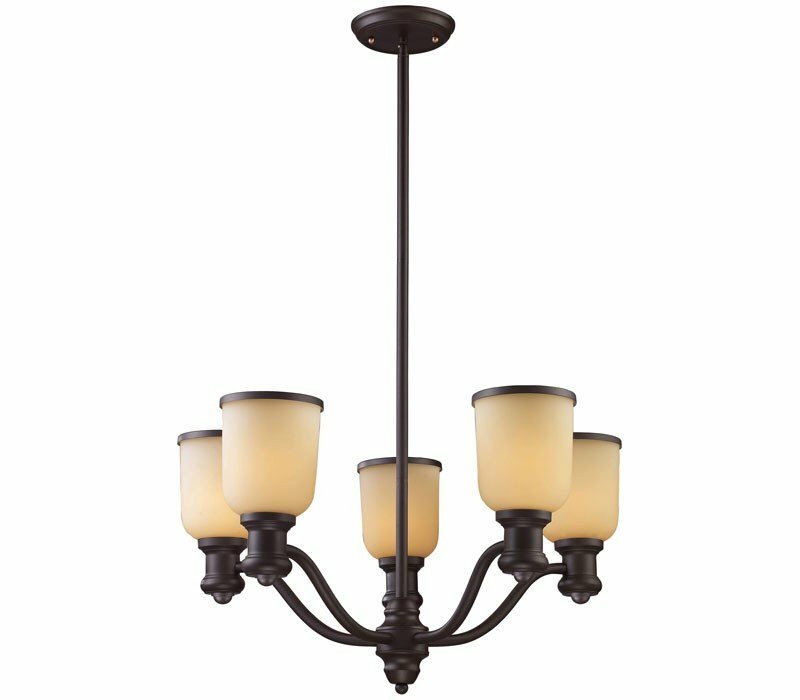 The ELK 66173-5 Brooksdale collection Chandelier Lighting in Oiled Bronze uses Incandescent light output and brings Antique style. The total wattage is 500 and the voltage is 120 volts. 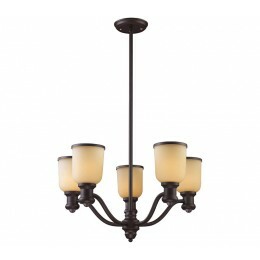 The ELK Lighting 66173-5 requires 5 bulbs (not included). Additional Information: Shade-Amber Glass - Type 6.